Whether you want to engage in Socratic philosophical debate, explore the ancient Acropolis ruins on the mainland or simply make like the Greek goddess Harmonia and relax on an idyllic island with the latest fiction bestseller, a holiday in Greece is enough to satisfy Zeus himself! Eighty percent of mainland Greece is mountainous, it has the 11th longest coastline in the world and approximately 1,400 islands, of which 224 are inhabited. The only Herculean task you’ll need to undertake, therefore, is looking on the Atlas and choosing where to go! 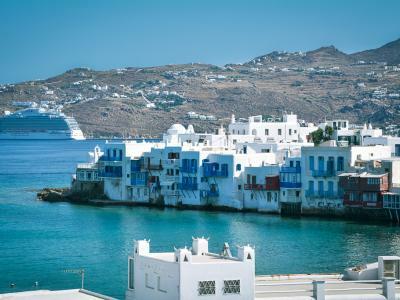 The Aegean sea contains the island clusters of the Cyclades, Ionian and Dodecanese, amongst others. 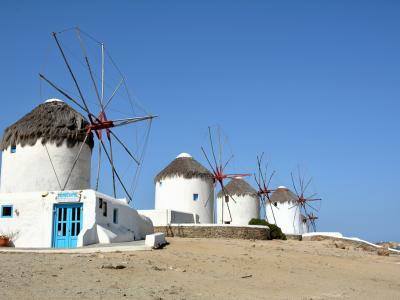 Choose from Crete, the largest island, beautiful Rhodes or lesser known islands such as Paxos. Many of the islands have pretty white buildings and churches nestling amongst the cliff tops. The retsina is plentiful, the food is outstanding and the sunshine is constant. Relax in a taverna or on the beach and lose yourself in blue skies and golden sands. Accommodation is varied, accessible and plentiful. There are many modern hotels on islands such as Corfu, apartments in Naxos and villas available for rent throughout the year. If you want to watch the sunset on a gorgeous Greek Island and feel like a god or goddess then let’s see how we can help. 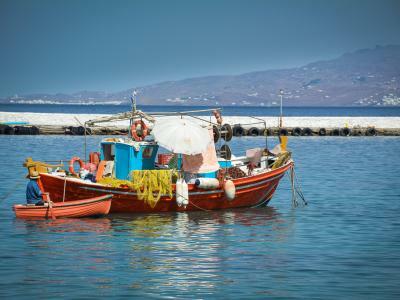 We can assist with arranging accommodation, flights, transfers, insurance, hiring equipment, in fact anything you require to guarantee your Greek holiday doesn’t turn into a Greek tragedy! What's available with our disabled holidays in Greece? A stylish hotel located in the upper town of Tolo, one of the prettiest little villages on the Greek mainland. Disabled-friendly villa with magnificent panoramic views over Kommeno Bay. Located on a quiet street, Avra Hotel was fully renovated in 2000. All communal parts of the hotel are accessible for wheelchair users. This comfortable hotel is ideally situated directly beside the sea and only a few minutes walk from Rafina marina. The hotel offers attractive spacious accommodation in colourful surroundings and beautiful views to the sea and to the resort centre. This hotel enjoys a marvellous location with views over the Aegean Sea and Ixia Beach, near ancient Ialyssos.